I've had a song running around in my head for a day or two. It took me a while to place it, but finally I remembered it's Pink floyd, from Atom Heart Mother. I still have the original vinyl (yes, I am that old). *STOP PRESS* Treasury is here! but as you know, quick or you'll miss it! Oh Nifty, this is soooooooo cool! aha - someone who can remember floyd! What a fantastic, creative and interactive treasury. Nifty, this is awesome!!! 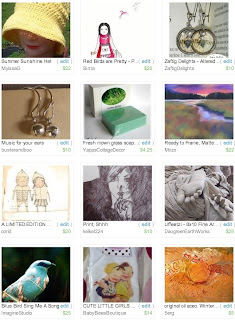 Thank you so much for including my Blue Bird print. Very creative treasury, Nifty!! I've had a quick look around and I think I can place most of them. And I've still got that vinyl, too! 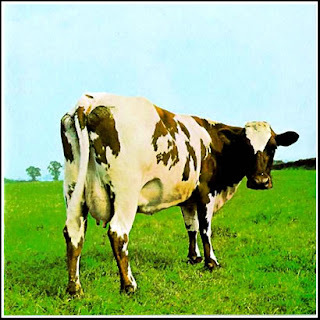 I've suddenly discovered that you may well think I've posted a picture of a random cow for no reason whatsoever...it's the album cover. No, I don't know why I assumed everyone would instantly recognise an album cover from the 60s either. Nifty, I'm so old that I recognised that cow immediately!! !